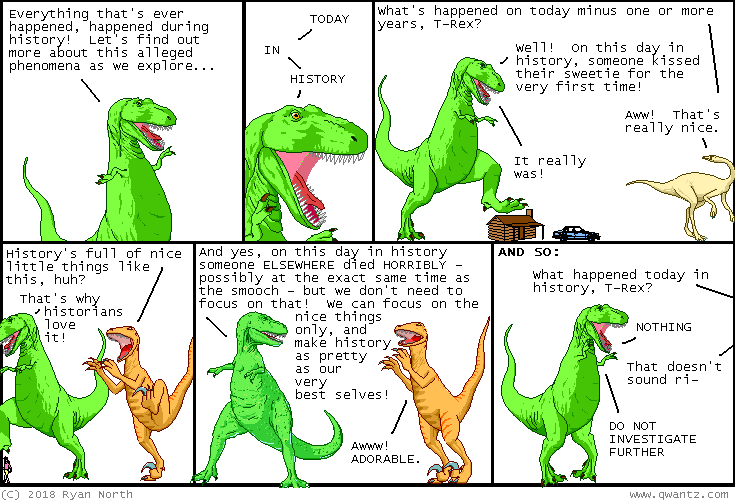 Dinosaur Comics - November 5th, 2018 - awesome fun times! –Okay, so Gotham City is infected with zombies, right? November 5th, 2018: History: it's just FULL of stuff! !